Do you know what you value most in life? Do you ever stop and think about these kinds of things? It’s hard to live our values if we don’t know what they are. 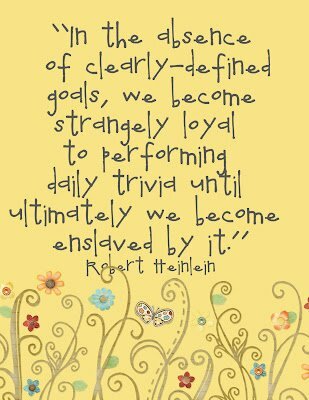 Determine your values and simplify your life and live in alignment with the real you. I may think I know what I value but do my priorities and actions show that? 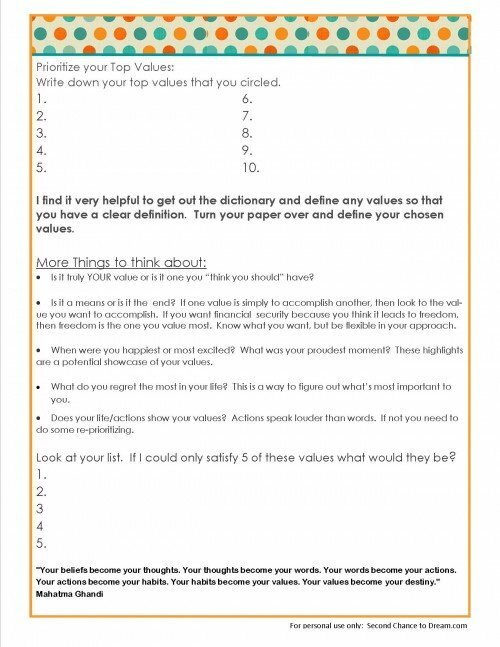 Do I have my values written down?? Because I want to live intentionally I am pulling out my Life Coaching info and reviewing it. 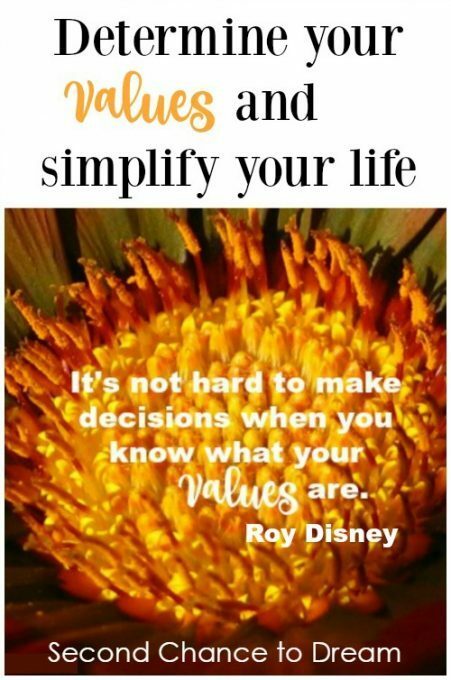 Come along with me and find out what your values are, while I reacquaint myself with mine! 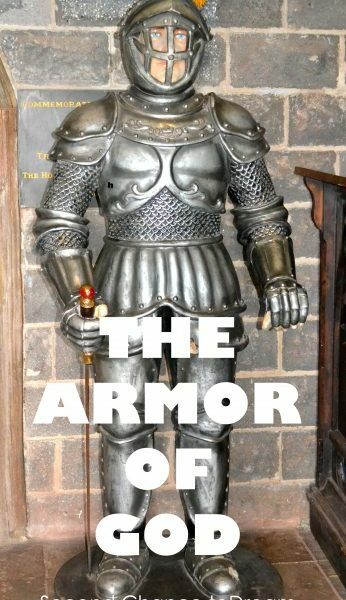 How does determining what we value help us make decisions? Well… if family is high on our list, then when we’re offered a big promotion that takes us away from our family most of the week it’s wise to turn that job down. If financial stability is in the top 5 then buying a cabin when you can’t afford it will help you make that decision. 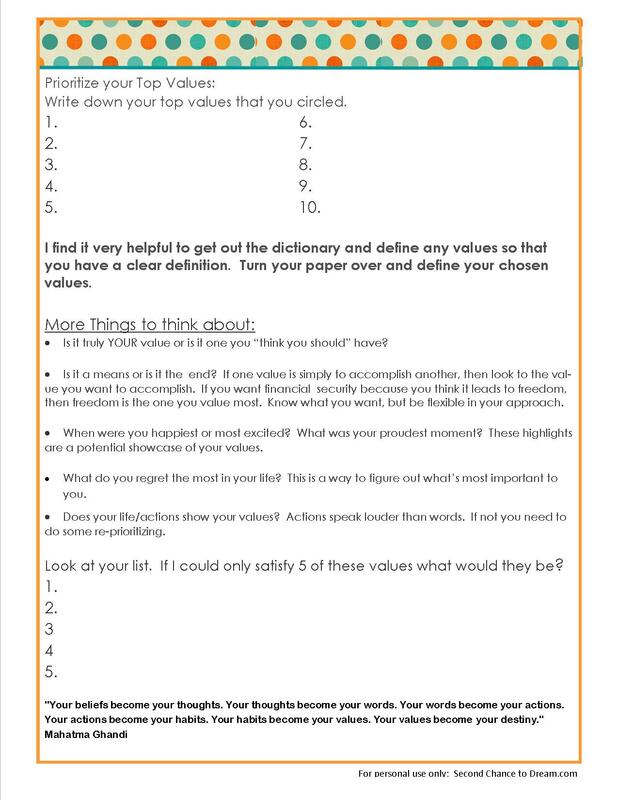 I am sharing 2 worksheets for you to help determine what you value in life. You just need to download the worksheets, print and take some quiet time praying and asking God to show you what you value. Then ask Him to show you where you are not living your values and what you can do about that. Awareness is half the battle. 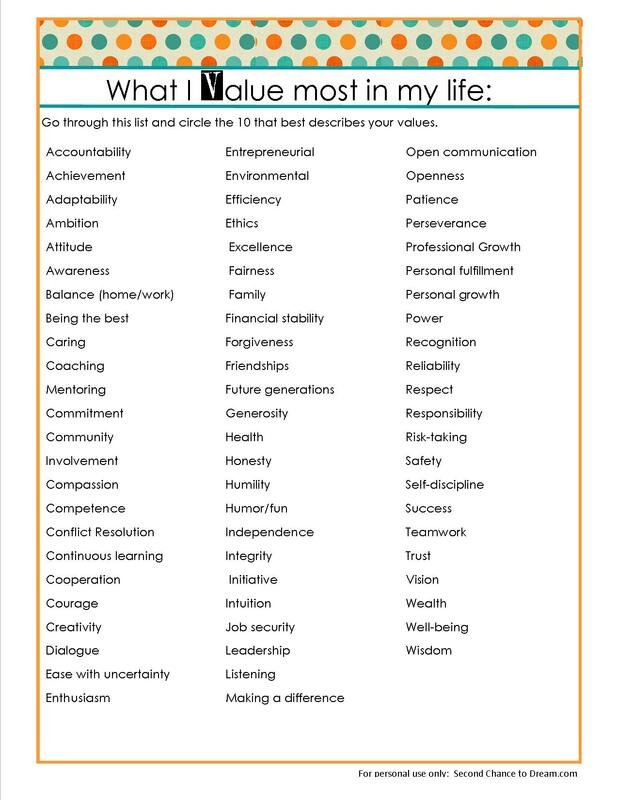 I hope you take the time to determine your values for your life. 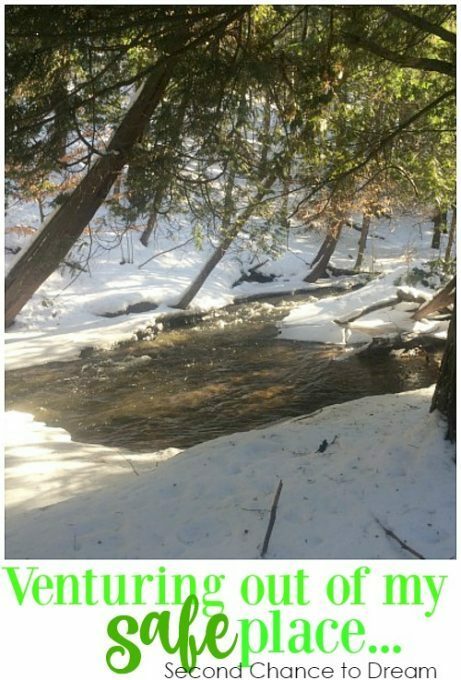 I hope it inspires you to live your life intentionally. Finding and living your values is a life long exercise. 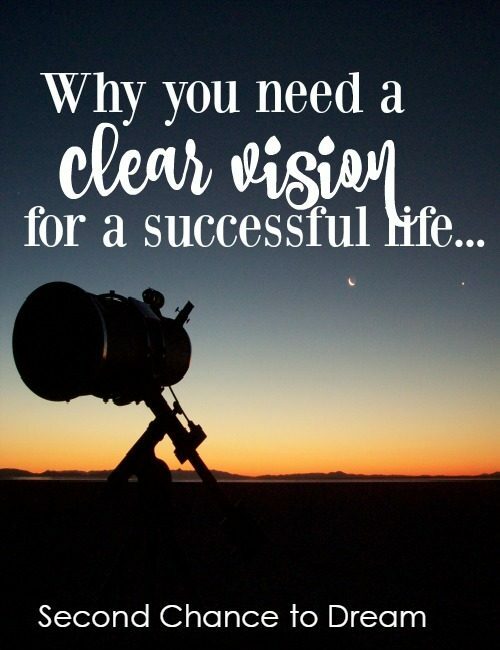 When we have Life-changing events these can shift our values and we need to readjust. What about you, are you living your values in life? 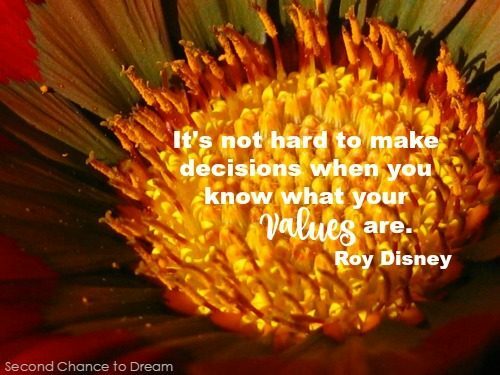 Have you ever taken the time to define your values? Let me know if you take the time to do it. I’d love to hear about it, please leave me a comment.